Abalone / Paua Shell All Heart, Third Eye and Crown Chakras Peace, Beauty, Compassion, Love. Promotes Tranquility, Protection and Emotional Balance. Calcium Carbonate shell material from a filter feeding coldwater reef invertebrate. 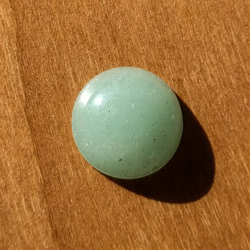 Amazonite Virgo August 24 - September 23 Heart & Throat Chakra Courage, Truth, Harmony, Setting Boundaries, Self Discipline, Personal Space, Loving Communication A green to blue-green variety of Microcline, a Feldspar mineral that forms in short prismatic or tabular crystals or in masses. 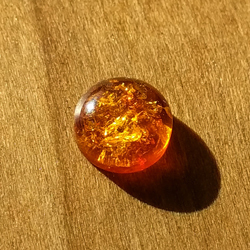 Amber Aquarius February 20 - March 20, and Leo July 23 - August 23 Solar Plexus Warmth, Health, Strength, Clarification Fossilized natural botanic resins ranging from 30 to 120 million years old. 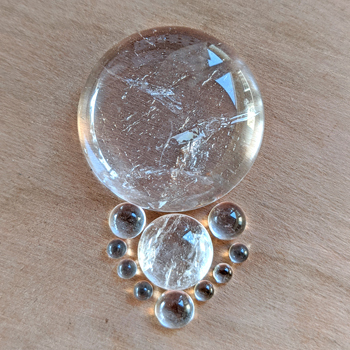 Amethyst Aries, Sagittarius, Aquarius and Pisces Third Eye, Crown, Etheric Protection, Purification, Sobriety, Divine Connection Quartz variation colored by trace Iron and Aluminum and applied or natural radiation. 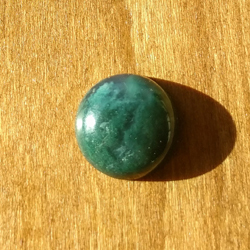 Aventurine Aries March 21 - April 20 Heart Vitality, Growth, Confidence, Good Luck, Manifesting Prosperity Quartz variation colored by microscopic Fuchsite particles. Has a sparkly shine called Aventurescence. 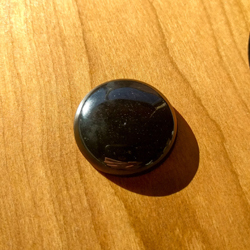 Black Agate Capricorn December 22 - January 20 Root Protection, Grounding, Calm, Self-Reliance A Banded Chalcedony variation in the Quartz family of silicates. Black Larvikite Aquarius February 20 - March 20, and Leo July 23 - August 23 Root, Third Eye Creativity, Inner Vision, Psychic Abilities, Intuition, Youthful Health A type of Granite, with a similar composition to Labradorite and Moonstone. 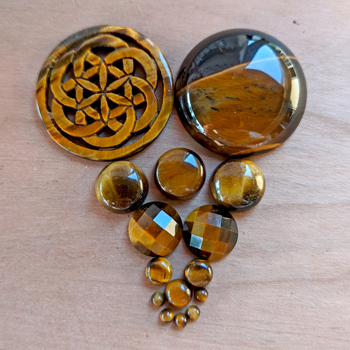 Black Onyx Leo July 23 - August 23 Root, Earth Star Vitality, Self-Mastery, Inner Strength, Grounding, Willpower, Discipline, Earth Connection Chalcedony variation in the Quartz family of silicates. 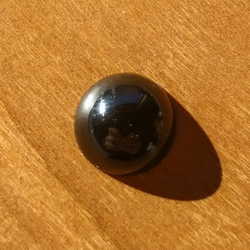 Black Star Diopside Pisces February 20 - March 20 Root, Earth Star Earth Energy, Grounding, Subtle Perception Prismatic calcium magnesium silicate crystals. 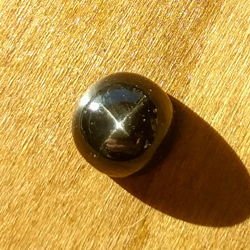 A gem quality, four-ray asterism is only found in the black variation of diopside. 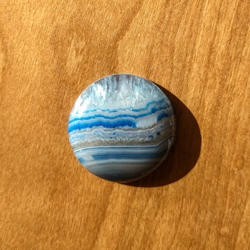 Blue Agate Pisces February 20 - March 20 Throat Communication, Clarity, Confidence, Articulation A Banded Chalcedony variation in the Quartz family of silicates. 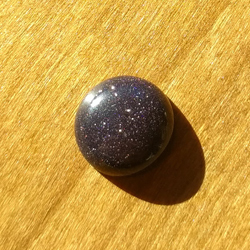 Blue Goldstone Sagittarius November 23 - December 21 Throat Protection, Healing, Psychic Ability, Ambition Alchemically created glass with suspended mineral crystals, the glittering shine is called "Aventurescence" for its similarity to Aventurine. Blue Kyanite Aries, Libra, Pisces, Taurus Third Eye, Heart, Throat Chakra Communication, Clarity, Public Performance, Meditation, Intuition Aluminum Silicate, the most well known anisotropic mineral, meaning it has a different hardness depending on the angle. Blue Lace Agate Pisces February 20 - March 20 Throat Communication, Clarity, Confidence, Articulation, Loyalty Chalcedony variation in the Quartz family of silicates. Rare, and only found in Namibia, South Africa and Romania. 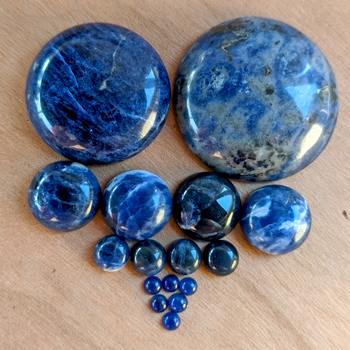 Blue Onyx Leo July 23 - August 23 Third Eye Vitality, Self-Mastery, Higher Self, Psychic Communication, Spirit Guides Chalcedony variation in the Quartz family of silicates. 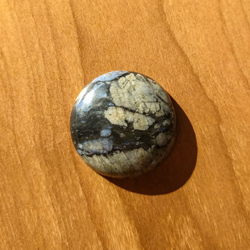 Blue Tigereye Sagittarius November 23 - December 21 Throat, Third Eye Protection, Insight, Awareness, Confidence, Guidance Forms from pseudomorphism of Crocidolite into Quartz. The blue color comes from the Aesbestos fibers of the Crocidolite before they are replaced with Iron Oxide. Bronzite Leo July 23 - August 23 Solar Plexus Protection, Masculinity, Self Esteem, Certainty A silicate compound of magnesium and iron, a variety of Hypersthene. 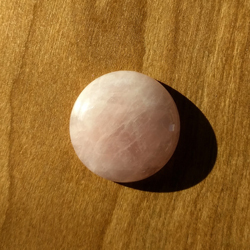 Carnelian Carnelian Root, Sacral, Solar Plexus Vitality, Confidence, Courage, Action, Sexuality Chalcedony variation, the Quartz structures are arranged in fibrous layers. 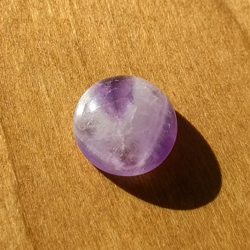 Charoite Virgo, Scorpio, Sagittarius Crown and Heart Chakras High Spiritual Energy and Unconditional Love, Living in the Moment, Acceptance and Letting Go A complex silicate containing elements such as potassium, sodium, calcium, barium, strontium, oxygen, silicon, and hydrogen. Chrysocolla Sagittarius November 23 - December 21 Throat Communication, Truth, Wisdom, Peace, Music, Teaching A blue copper stone often found near Malachite and Azurite, it may have inclusions of Cuprite. Coral Fossil Taurus, Pisces Diplomacy and concurrence, Facilitates intuition, imagination and visualisation, expedites transfer of knowledge, expedites and accelerates the transfer of knowledge. Crazy Lace Agate Scorpio October 24 - November 22 Third Eye Chakra Protection, Emotional Stability, Laughter, Mental Clarity, Harmony Chalcedony variation in the Quartz family of silicates. Druzy black agate Capricorn December 22 - January 20 Root Chakra Protection, Grounding, Calm, Self-Reliance A Banded Chalcedony variation in the Quartz family of silicates. The Druzy section is Quartz growth, which amplifies the effects. 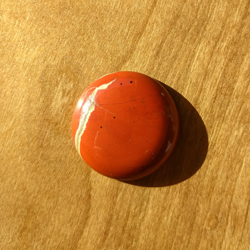 Flame Jasper Aries and Scorpio Root, Sacral Protection, Grounding, Earth Connection, Focus, Sexual Energies, Passion, Strength, Endurance Chalcedony variation, the Quartz structures are arranged in granular structures. Up to 20% of the material is variable, resulting in the many varieties, colors and patterns. Fluorite Capricorn December 22 - January 20 and Pisces February 20 - March 20 All Mental Clarity, Decision Making, Learning, Order Calcium Fluoride crystals, forming in cubic or octahedral structures in veins with Quartz, Calcite and Barite. Garnet January / Aquarius Root Chakra Joy, Health, Self-Worth, Courage, Devotion, Willpower Garnets can come in many colors and variations, often growing in "series" with each other, imperceptably mixed within a single crystal. Gold Rutilated Quartz Gemini, Leo, Taurus All Creativity, Manifestation, Amplification of Thoughts, Manifestation Unique hairlike growths of Rutile minerals run through and are grown along with clear Quartz crystals. Rutile can come in many colors. 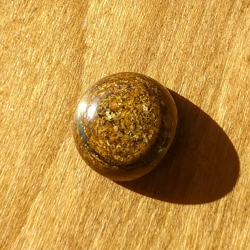 Gold Sheen Obsidian Solar plexus chakra Helps to reclaim personal power and align of divine will, releases blockages to growth. It can give us insight into the core of problems and remove egotistical thinking, allowing us to find our spiritual path. 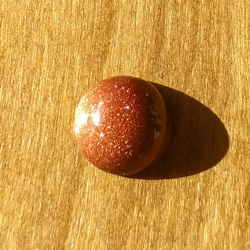 Goldstone Sagittarius November 23 - December 21 Sacral Protection, Healing, Psychic Ability, Ambition Alchemically created glass with suspended mineral crystals, the glittering shine is called "aventurescence" for its similarity to Aventurine. 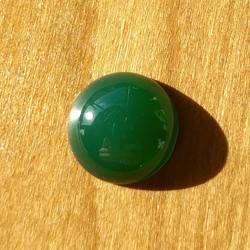 Green Onyx Leo July 23 - August 23 Heart Vitality, Self-Mastery, Fertility, Success, Creativity Chalcedony variation in the Quartz family of silicates. Hematite Aquarius January 21 - February 19 Root Grounding, Manifestation, Clarity, Energetic Balance, Making the Spiritual Physical Iron Oxide mineral, often found in large Iron deposits. 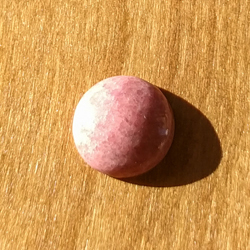 Appears red in powdered form, and its name comes from the Greek word for blood. 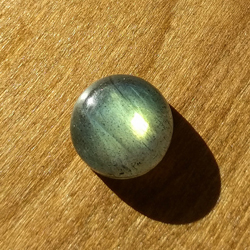 Labradorite Leo, Scorpio and Sagittarius All Magic, Protection, Self-Mastery, Stength, Unity, Awareness Plagiocase Feldspar, a Sodium Calcium Aluminum Silicate. 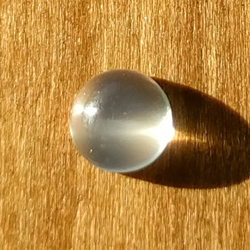 The shine, called "Labradorescence", isn't visible under microscope. 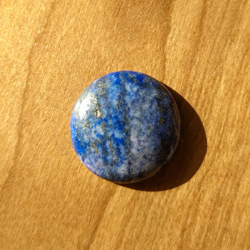 Lapis Lazuli Pisces February 20 - March 20 and Sagittarius November 23 - December 21 Third Eye, Throat Wisdom, Virtue, Communication, Psychic Activation, Personal Divinity A Silicate mixed mineral with Calcite, Pyrite and Sodalite inclusions. Used to make Ultramarine pigment, the most expensive pigment during the Rennaisance by many painters. Larimar Leo, Pisces Throat Chakra The Atlantis Stone. Calming, cooling, soothing to the emotional body, enhanced communication, feminine power, connection with goddess energies. 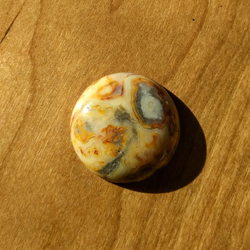 Leopardskin Jasper Gemini, Scorpio Root Strength, Vitality, Protection, Communication with the Animal Kingdom, Shamanism Chalcedony variation, the Quartz structures are arranged in granular structures. Up to 20% of the material is variable, resulting in the many varieties, colors and patterns. 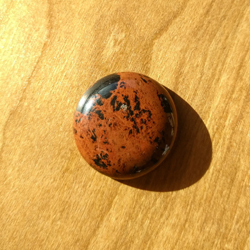 Mahogany Obsidian Scorpio October 24 - November 22 Root, Sacral Protection, Creative and Sexual Energy Harmonization, Abundance, Emotional Health, Self-Worth Silica rich volcanic rock with no geometric pattern, the brown color comes from Iron content. 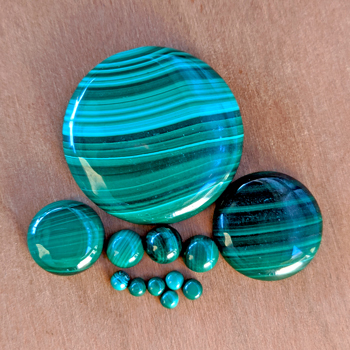 Malachite Scorpio October 24 - November 22 and Capricorn December 22 - January 20 Solar Plexus, Heart Protection, Willpower, Synchronicity, Confidence, Leadership A Copper Carbonate Hydroxide mineral, used as green pigment until around 1800. 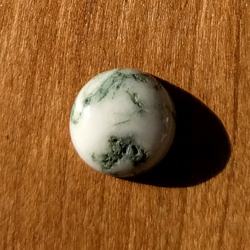 Moss Agate Virgo August 24 - September 23 Root, Heart Stability, Grounding, Manifestation, Abundance, Physical Health A chalcedony with dendritic inclusions, it is not a true agate because it has no banding. Mother of Pearl Invokes the calming energy of the sea, reducing stress and aggressiveness, allowing clearer thoughts and expression Calcium Carbonate shell material from Abalone or Pearl Oysters. Ocean Jasper Virgo, Libra, Scorpio Heart Chakra Accepting Change, Letting go, patience, tranquillity, Aids in Tranquility and Wholeness. 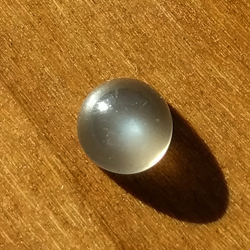 Opalite Cancer June 22 - July 22 Third Eye Communication, Energetic Flow, Receptivity to Change, Stability, Balance, Sexual Energy A treated glass compound, fumed in Dolomite to create an opalescent shimmer. Also known as Tiffany Stone. 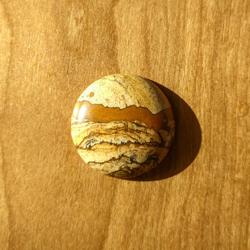 Picasso Jasper Leo July 23 - August 23 Root, Sacral, Solar Plexus Protection, Strength, Serenity, Ease of Interpersonal Relationships Metamorphic Limestone, actually a type of Marble. 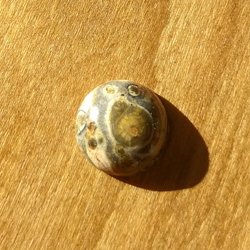 The black inclusions are Iron Oxides. 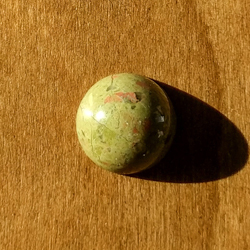 Picture Jasper Third Eye, Root Earth Consciousness, Sacred Knowledge, Intuition Chalcedony variation, the Quartz structures are arranged in granular structures. Up to 20% of the material is variable, resulting in the many varieties, colors and patterns. Polychrome Jasper Brings a sense of tranquility and wholeness, embodies passion, exuberance, vibrancy, vitality, action, and creativity. 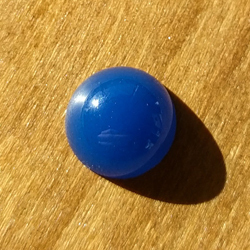 A type of opaque, multi-colored chalcedony which develops in massive formations. Quartz All Programmable, Amplification of Intention, Clarity, Purpose Silicon Dioxide Crystal, one of the most abundant minerals on the planet. 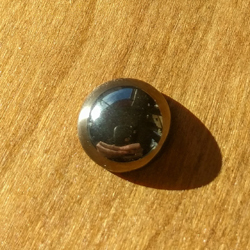 Exhibits Piezoelectricity, which can transform kinetic energy into electricity and vice versa. Rainbow Flourite Capricorn and Pisces Third Eye and Heart Stabalizes and balances emotions, Promotes Grounding and Protection, Cleanses and Repairs Auric Field Calcium Fluoride, coloration is caused by impurities and Fluorite can come in almost any color and include all color zones within a single specimen. 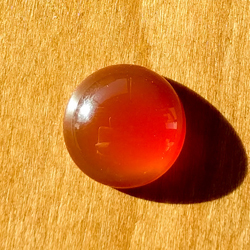 Red Agate Aries March 21 - April 20 Solar Plexus Protection, Healing, Blood Flow, Prosperity, Abundance A Banded Chalcedony variation in the Quartz family of silicates. Red Sponge Coral Taurus, Pisces Root Chakra Diplomacy and concurrence, Facilitates intuition, imagination and visualisation, expedites transfer of knowledge, expedites and accelerates the transfer of knowledge. Rhodonite Taurus April 21 - May 20 Root, Heart Compassion, Generosity, Love, Altruism Manganese Metasilicate mixed mineral, often with black inclusions. Sodalite Sagittarius November 23 - December 21 Third Eye Insight, Intuition, Creativity, Discipline A Chloric Sodium Aluminum Silicate, often included with White Calcite. Tigereye Gemini May 21 - June 21 and Capricorn December 22 - January 20 Root, Sacral, Solar Plexus Strength, Vitality, Mental Clarity, Balance, Logic, Physical Action Forms from pseudomorphism of Crocidolite into Quartz. The fibrous texture has a golden chatoyancy. 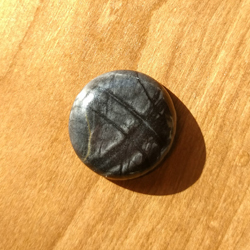 Tree Agate Virgo August 24 - September 23 All Growth, Wisdom, Balance, Assistance in Inner Work The fern-like "dendrites" are inclusions of iron or manganese. 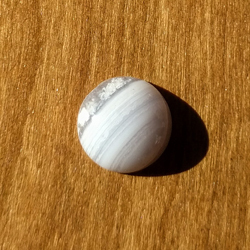 It is not a true agate because it has no banding. Turquoise Scorpio, Sagittarius and Pisces / December Throat A stone of Protection, luck, success, ambition and creativity. Promotes leadership and helps avoid bad investments. Associated with Wholeness, Truth, Balance, Optimism and Compassion A Copper Aluminum Phosphate mineral, the blue is from Copper and green shades are Iron. 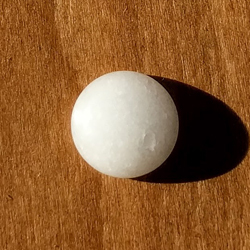 White Jade Libra, Pisces Heart, Crown Protection, Healing, Decision Making, Harmony Nephrite, a Calcium Magnesium Silicate formed in metamorphic rock.